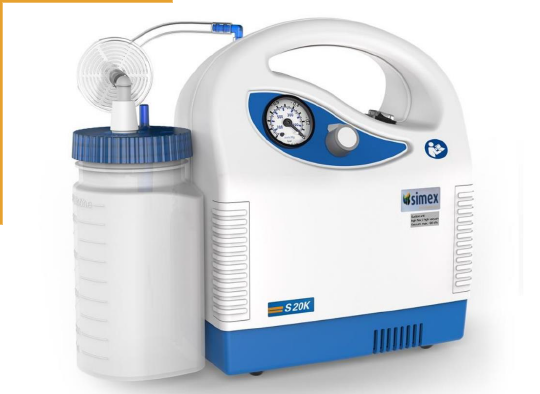 simex offers various portable suction units for many applications in the medical field. To be used in clinics, ambulances and in homecare. The durable battery operated suction units are compact, light weight and have single use or re-usable canister systems. With the various suction units you are able to aspirate secretion, body and rinsing fluids.